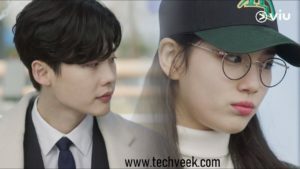 While You Were Sleeping Kdrama: We have seen Lee Jong Suk in different Korean dramas but this one is quite different and he has acted in one of the similar shows before as well. This show is about Bae Suzy as Nam Hong Joo who can see future accidents and death in her dreams. While Lee Jong Suk plays a good prosecutor Jung Jae Chan who will try to stop her dreams from coming true. So the drama is all about our MC trying to stop these bad accidents and deaths from coming true by a series of events and issues. This show will air for 32 episodes on Wednesday and Thursday from September 27 to November 16, 2017. This show has a run time of 35 minutes per episode while two episodes are aired every day on Wednesday and Thursday. Lee Jong Suk has starred in a drama by the name “I Can Hear Your Voice” with the same genre as of this show, in which we could hear other people’s thoughts. If you are wondering what happened during the episode 1 of this show, then you can start reading the below review readily. The episode 1 and 2 were released on Wednesday 27 September, 2017 on the SBS TV channel. The first episode gave us the introduction to both the characters played by Lee Jong Suk and Bae Suzy. The first glimpse of this show had our MC Bae Suzy waking up from a bad dream in which she sees a man die from fire accident. She also dreams of the MC Lee Jong Suk, in which she hugs him and this dream kind of puzzled her, because she does not know the man yet. The very day Lee Jong suk lands as her neighbor and soon misunderstandings happen between them. In the next part she sees the same man from her dream that dies from a fire accident and tries to stop him. She gets a hold of the lighter that kills him but he has same pair of the lighter that he uses at the petrol bunk and dies. In another dream she sees, that she is told that her mother dies from an accident that she caused. On the Valentine’s Day she can’t reach her mom, she suspects that something has gone wrong with her mom and wants to meet her. Her friend Yoo Bum asks her to let him drive with snow on the road and he kills a man who just helped her mother by returning her phone. Later she wakes up from the hospital and her aunt tells her that, her mother dies from the accident she caused. But the real thing is she never drove that day and her friend switches their seats to make it look like she was responsible for the accident. 10 months after the accident she wakes up from coma and Lee Jong Suk is recording her confession. She then tries to jump off the building, and speaks to LSJ that she hoped that this was his dream. And you know what episode 2 is going to be real amazing because we are going to know whether she dies, or LSJ saves her. The main question which might be buzzing your head is where can we watch While you were sleeping episode 1 online. This drama is streamed or aired on SBS channel of South Korean but what about the people waiting in other countries. Well this show will be released on two different streaming services online which include VIKI and then Viu as well. 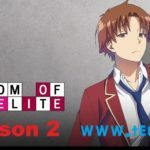 Both the streaming services will stream the show one day after the initial air date, but the good part is that we can watch the show along with subtitles as well. Yes, you’ve heard me right that this show While you were sleeping English subtitles will be released on Viu and VIKI streaming service. In my view the show While You Were Sleeping episode 1 has been really amazing with great entertainment being the plus point of the show. Both the lead characters have done amazing in their roles but if you want to know more of what is to come. We are soon going to release the review and details of While You Were Sleeping episode 2 on our website. Thanks for reading this review of the show, and please share your view on the episode 1 which would be great.